Our MacBook Air screen replacement service is for just replacing the LCD panel on the computer. This means that the silver that surrounds the screen, the back housing where the apple logo is, and the hinge area are not replaced. We just replace the LCD panel itself. Another component that is not replaced is the backlight. The backlight can become damaged when the hit to the screen is concentrated in one area and was hard enough to get through the LCD panel and dent or mar the backlight panel. 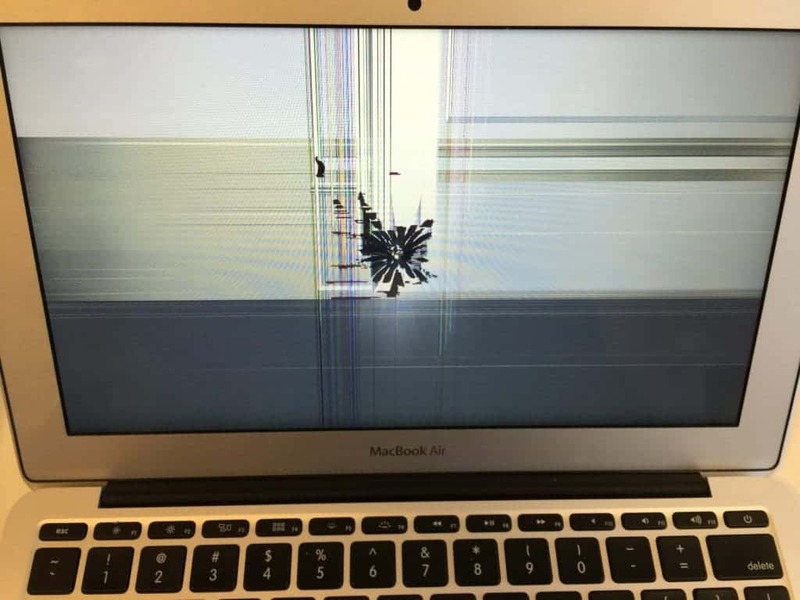 The pictures below are of a computer that took a hit to the center of the screen and cracked the LCD. You can see the hit was pretty hard and concentrated at a very small point in the center. The second picture is after the screen replacement. 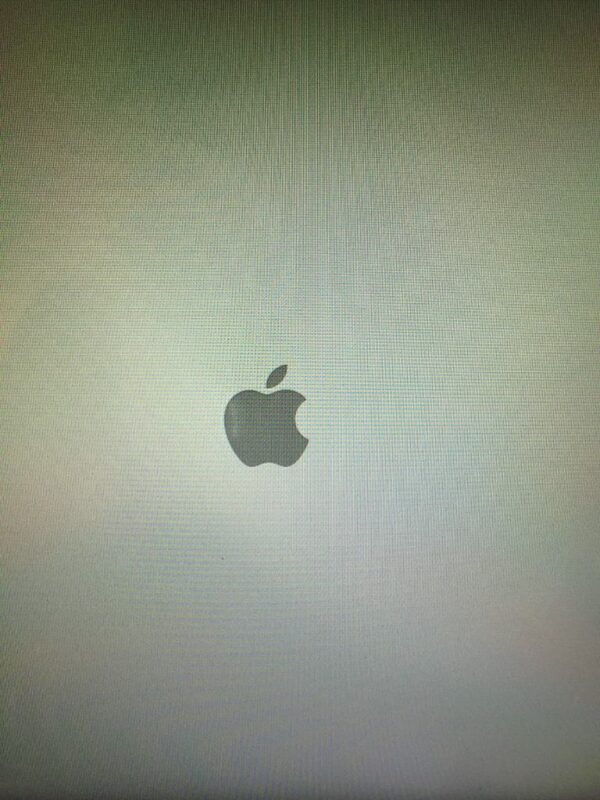 You can see a small white blemish on the left side of the Apple Logo. This is a great example of what it can look like when your backlight panel gets damaged. If your backlight panel is damaged, we will provide you with a quote to replace the entire display assembly, as well as pictures of the blemish on your screen. That way you can make an informed decision on how to move forward. Have a different Mac laptop that you need repaired? We offer screen repair services for almost every mac model. Find the pricing to repair your Mac laptop on our Mac Screen Repair Pricing page.